Stirling Flowers have been providing flowers for all occasions, including the sadder times since 1972. Stirling Flowers have a reputation for providing perfectly fresh Flowers all year round. If the deceased had a favourite type of flower, a particular interest or colour they preferred Stirling Flowers can create the perfect funeral arrangements for their funeral. 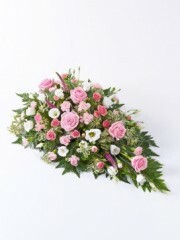 Our florists understand that funerals can be a particularly difficult time for all, we treat your order with time and the delicacy it deserves. 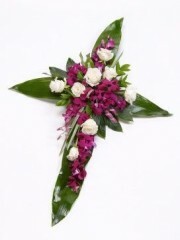 Stirling Flowers have a beautiful range of flowers to pick from, all of the funeral flowers we offer on our website are beautiful but its not a problem for us to customise your order to you, whether its size, colour, style or shape: Stirling Flowers can help with everything you need. At our florist we deliver directly to home addresses, crematoriums, churches and funeral directors, so just let us know where you think the flowers would be best delivered to and we will make sure they are there in plenty of time. For any further information or to discuss your order you can call or email us and one of the Stirling flowers team would be delighted to help.